Unfortunately, Lizzie Rovsek only got one season as a full-time cast member on The Real Housewives of Orange County. She did return as a Friend of the Housewives the following season and she’s made guest appearances here and there. Just last season she showed up for Vicki Gunvalson’s party. 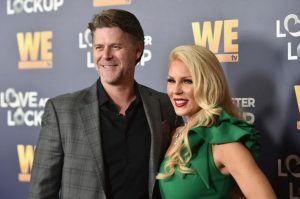 She may have been a one and done Housewife, but she does have a lot of scoop on the cast members and everything that went down during Seasons 9 and 10. Not only that, but she’s still in touch with Vicki and Kelly Dodd in addition to being friends with new Housewife Emily Simpson.